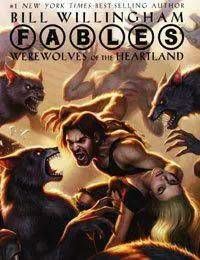 Bigby Wolf takes center stage in what might be the most action-packed FABLES story to date. Bigby embarks on a quest through the American Heartland to find a new location for Fabletown. In his wanderings, Bigby stumbles across a small town named Story City, that, amazingly enough, seems to be populated by werewolves. Who are they and where did they come from? They arent Fables, but they sure arent normal mundys. They seem to already know and revere Bigby, but at the same time theyve captured and caged him - but why? Unravelling the many mysteries of Story City may cost Bigby more than his life.